SPAIN was one of the worst-affected countries by yesterday's social media crash, which saw Facebook, Instagram and WhatsApp go down all at once. Much of the east and south-east and far north-west of England, The Netherlands, northern Belgium, central Europe to the east of France and south-east of Germany as far as Hungary, the Istanbul and Ankara areas of Turkey, patches of southern Portugal, the Cairo and northern Sinai parts of Egypt, Singapore, the United Arab Emirates, and parts of the USA were affected. But the whole of Spain and Italy, except the south coast of the latter, were a complete social media blank from around 12.30 mainland Spanish time (11.30 in the Canary Islands) until mid-afternoon. Connections started to reappear at around 15.00 in some areas of Spain, but it was not until nightfall that they were all back online. 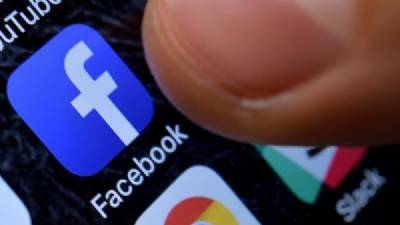 The Instagram news feed was not working, Facebook's server was not responding and it was not possible to log in, and WhatsApp users reported problems with sending and receiving messages. It was exactly a month ago when the last worldwide failure of all three social media occurred - they stopped working at 22.00 mainland Spain time on March 13 and remained out of action for the longest time in their history. Back then, the firm founded by Mark Zuckerberg attributed the shutdown to a 'change in server configuration', and insisted it had nothing to do with a hack attack. As yet, the reason for Sunday's breakdown is not known.